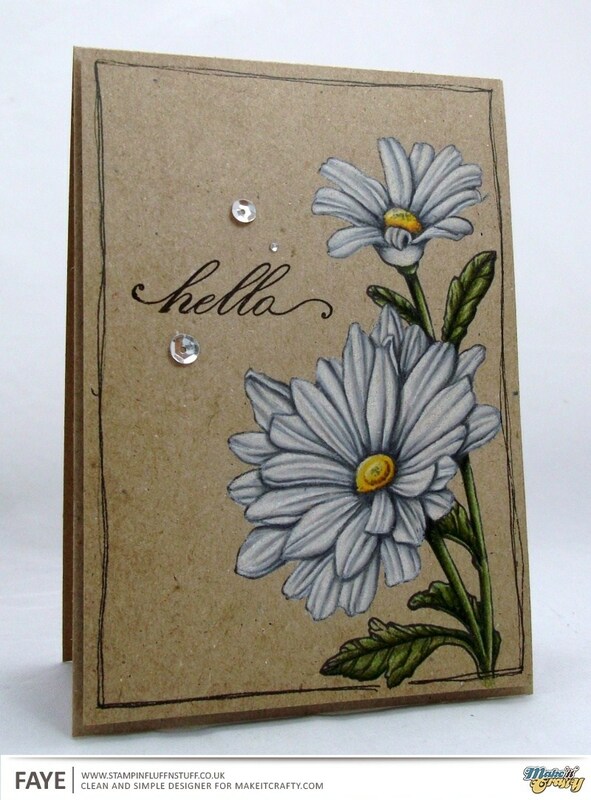 Last month, I made a card using these Daisies from Make it Crafty. At the time, I couldn't decide if I wanted to colour them with Copics and give them a lovely purple airbrushed background, or, if I wanted to colour them in Pencil, on Kraft Card. So, taaadaaaaaaaa... I've done both! Oh my goodness Faye - how absolutely fabulous! Just stunning and your colouring is divine, as always! Spectacular work, Faye! So glad you shared this. Made me smile so big. Have a wonderful weekend! Wow Faye, this is just stunning ! 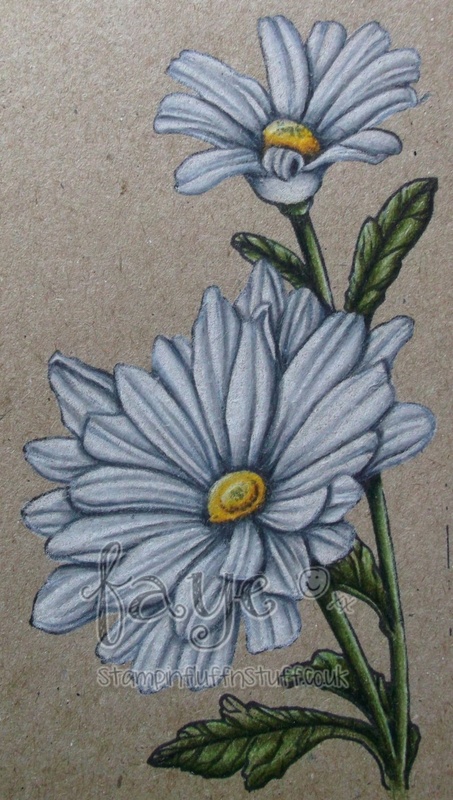 Wow, these daises are just perfect, they look as if they could be picked!!! This version in pencils is also stunning Faye, I don't think I can choose between them. Gorgeous. OMG, this is just out of this world gorgous.. You are so talented!